Vilnius Regional Administrative Court rejected a motion of community of Sz. Konarski High School concerning re-organisation of the institution. The decision of the capital city’s Council would cause the school to be transformed into a primary school. The written decision of the court has not reached the school yet. Further steps of the school community will be known after the school authorities and the parents will familiarize themselves with the court’s decision. The matter of Sz. Konarski High School re-organisation is examined by various courts since summer. 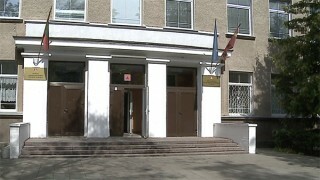 After decision made by the Council of Vilnius city government at the end of July 2015, which appointed few Vilnius city schools, including „Konarski”, the parents sought help in court. They pleaded to suspend the decision since the 1st September classes 11 and 12 will not be created, the pupils will be forced to look for another school to attend to a few weeks before the semester starts, which will negatively affect the pupils’ preparations for the matura exam. On 18th September written answer from the Vilnius Regional Administrative Court was received; it was stated that until the case will be examined, the Council of Vilnius city government’s decision of 29th July 2015 will be repealed. Examination of the case will be held on 5th October. In the meantime the higher court (The Supreme Administrative Court of Lithuania) has positively examined the appeal of the government of Vilnius city: a day before the school year starts, the authorities were informed that since 1st September, Sz. Konarski High School will not have classes 11 and 12. On 5th October there was a sitting of Vilnius Regional Administrative Court. Marius Navickas, the representative of the school’s community was persuading the court that actions of the local government’s authorities were „hasty and not systematized”: if not for the haste, the process of re-organisation would be clear and well-organized. The deputy head of the school, Krystyna Kratkowska, was talking about a total deorganisation of the school: 87 students of Konarski High School learn in the building of the school, but in reality they already attend Adam Mickiewicz Junior High. They are taught by Konarski High School teachers, but the teachers had to sign new contracts with Adam Mickiewicz Junior High for the few working hours they have now. „Our respected teachers with a degree in Methodology or expert level knowledge of the subject work on limited time contracts (for one year), and as a subsidiary teachers. For this reason the teachers lost part of their working hours, what significantly lowered their income”, explained the deputy head. On 20th October, Vilnius Regional Administrative Court announced its decision concerning re-organisation of Sz. Konarski High School – which, unfortunately, did not include the position of the school community. „It is hard to say what steps will be taken next. We will confer on this matter with the parents. We have created School Defense Committee with president Mirosław Szejbak, who will decide if the appeal to the higher court should be submit”, informed Krystyna Kratkowska. At present, the pupils of classes 11 and 12 learn in the building belonging to „Konarski” but formally they attend A. Mickiewicz Junior High. „We managed to keep the situation under control, but there are many problems of formal nature: it turns out that we teach not our children, and our teachers are employed in another school. We cannot organize any school trip without permission of the authorities from Adam Mickiewicz Junior High. Naturally, permission is granted, but all formal issues take time”, said acting headmaster of Sz. Konarski High School, Krystyna Kratkowska. The case is that every permission, i.e. to organize a trip, must be issued by the school authorities in writing. Meanwhile, the local government did not publish any official decision which would describe how the school shall operate in the current situation. „We had been waiting for such document, but we didn’t receive it. Every decision was made together with Adam Mickiewicz Junior High. We solve occurring problems that this situation causes for the parents and the pupils by ourselves. The fact that the school somehow operates and the situation is under control is our [the both schools] common merit”, underlined Krystyna Kratkowska.